The other new books look intriguing too, but I don't know anything about them yet, except, something to do with ZT and polymer clay. My new book is listed on Amazon already! 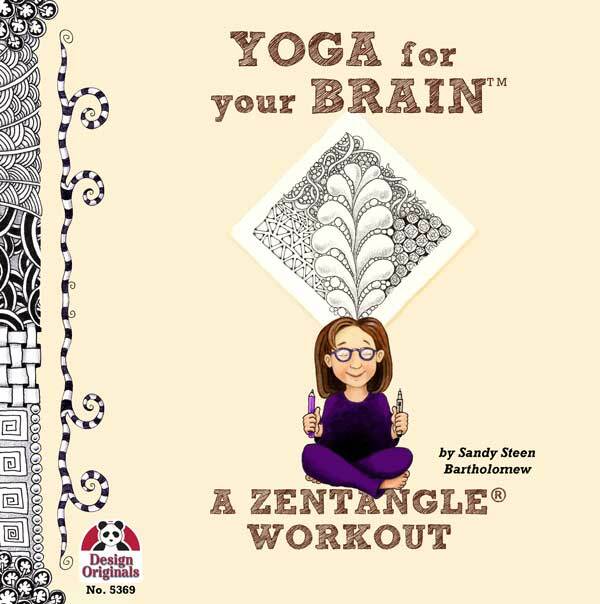 Yoga for Your Brain is available for pre-order. So if you have Amazon Prime and get free shipping, that's a great place to order it. Plus they guarantee the price if you pre-order. (sssh! don't tell anyone) Enter this code in your Etsy shopping cart and you'll get 10% off your order in my Bumblebat shop. This coupon is only good while I am taking pre-orders.. so for about a week. I only have books in the shop right now, not kits, etc. because I still can't see well enough to put that stuff together. Sorry. You want a bigger discount!? Oh, OK... post the info and links about YFYB from this email onto your own blog (at least 100 followers or more) or get it onto someone else's blog... and post the link in a comment below (or email me) and I'll send you a super secret code for 25% off all the books. And I'll put some stuff or thingies in too. You can repost any part of this posting or do your own - but put some links, OK? Thanks. Table of Contents - more teasing. Why, yes, I DO come up with my titles really late at night. Why do you ask? "Tangled Women" is one of my favorites. And, yes, it was a bit difficult at times to keep the Yoga/Workout theme going. I'm not a exercise buff. I'm a couch potato with a sketchbook. I burn calories by laughing and rolling my eyes. I guess that makes this book more authentic though, since all the exercising involves hefting a pen and turning pages. Try reading this book on an exercise bike if you feel the need to really work it. OK, major teasing here. I think if you click on the images, you can probably read some of the text and try a project. You can fool your friends - who don't read this blog - into thinking you actually HAVE the book and they don't. Ha Ha! I just realized, I'll have to get some Sheer Heaven for my Etsy site, hmmm.... But for now, you can get it from www.cre8it.com tell Jessica I sent you. In an unrelated aside, Jessica also has some really excellent online classes on journaling and digital photography at that site. I've taken a bunch and want to do Guerilla Photography next. 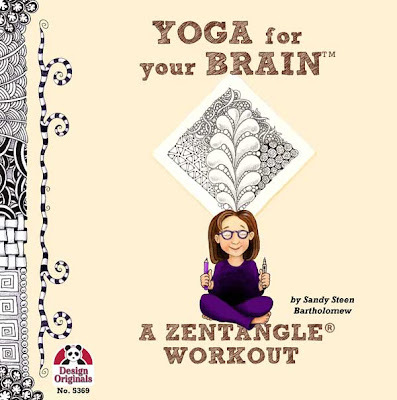 Yoga For Your Brain is NOT a beginner Zentangle book! Did you hear that! NOT a BEGINNER book! I think I sum up the basics on one page, just in case you forgot... or maybe you need to explain it quickly to someone looking over your shoulder as you read. 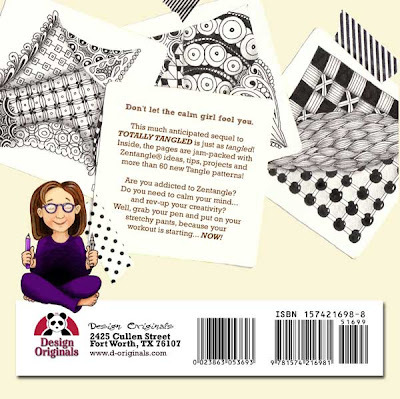 But this book assumes you know about putting dots in the corners, etc. and takes it from there. OK? So no more 2 star reviews because you didn't know. Are we still friends? Good. Last of all, the back cover. I really loved the blurb. Originally it read Don't let the calm cover fool you." I thought that was really funny. But by the third revision, the cover wasn't calm anymore. I think I used that excuse as a reason not to redo the cover. But the publisher said to write "calm girl". Ah, well, it's still pretty funny. And don't get me wrong... I adore my publisher. Suzanne McNeill is the most amazing, and amazingly patient, publisher I have ever worked with. She actually lets me design the entire book, right down to the spine. Maybe she doesn't know publishers aren't supposed to do that? Don't tell her!! Although she did threaten me to leave lots of room around the bar code this time. I really like to make people happy. Thanks for all the reassurance and good criticsms. I do need thicker skin, I know, but that might backfire and prevent me from being sympathetic and all that. But I could definitely try harder to focus on the good and, perhaps, delicately step over the pile of...bad stuff. Right? I am going to try and celebrate more GOOD STUFF. 2011... GOOD STUFF... YAH! I am not entirely satisfied with this product. The instructions are unclear (probably because they are written by the Japanese). It took me ages just to figure out how to operate it. Finally, I figured out that the plug needed to be inserted into the electrical outlet. It didn't say that anywhere in the directions! DO NOT BE CORRUPTED BY THIS MOVIE!!! The movie was a little boring and looked really fake. You could tell it wasn't real and was just a bunch of silly puppets. I hope the kids that watch it don't really think fish can talk. Most of the movie is scientifically inaccurate. Great lesson for the kids! I was a little disappointed when I first bought this item, because the functionality is limited. My 5 year old son pointed out that the passenger's shoes cannot be removed. Then, we placed a deadly fingernail file underneath the passenger's scarf, and neither the detector doorway nor the security wand picked it up. My son said "that's the worst security ever!" But it turned out to be okay, because when the passenger got on the Playmobil B757 and tried to hijack it, she was mobbed by a couple of other heroic passengers, who only sustained minor injuries in the scuffle, which were treated at the Playmobil Hospital. Ok, point taken!! If you enjoyed the above reviews (they are real! 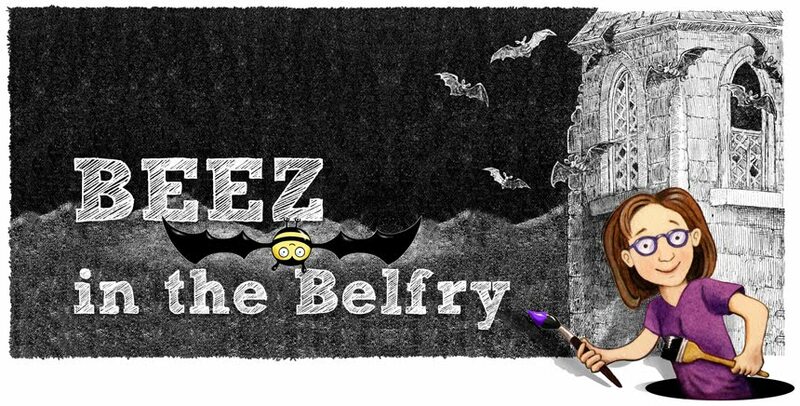 ), click on the Playmobil link to see more ridiculous (and a little scary) reviews. The ones for the Bic pen also include lots of references to ear wax. I really liked the one begging for more available fonts. ha! YUCK! And this is a week AFTER surgery. Last night, my daughter told me I was ugly and I agreed with her. But I said "I am still me inside" and she said "OK". And we snuggled and watched a movie together. LAST week, she wouldn't come within ten feet of me. But she did blow a kiss as she ran out the door. My doctor told me to expect small improvements everyday. Although, I think he was referring to my eye. I am trying to keep my "chin up" and since my head must be elevated at all times, that is pretty easy. Sorry about the stupid jokes... I went off the narcotics yesterday. You're jealous, right? Really good, almondy sugar cookies. Yummy! I ate the one in the middle because the feet are just too cute to eat just yet. I mean, the one on the right looks like ME! (flipped) Squinty eye and yellowy skin? Hee hee. If anyone wants to send me more cookies... although dark chocolate is always appreciated. And I am almost out of milk too. You are grossed out AND jealous and I can't let you leave in a bad mood. So here are a couple of shots, from just before the surgery, showing a typical evening at my house. I have a really weird family! My daughter, Lilah, started it. My mom got mad at her for blowing bubbles in her milk. I got her a bowl to protect the table. My son, Alex, starting critiquing her technique, so I got him a straw and then got my camera, when I saw his performance. My mom started yelling for them both to desist. 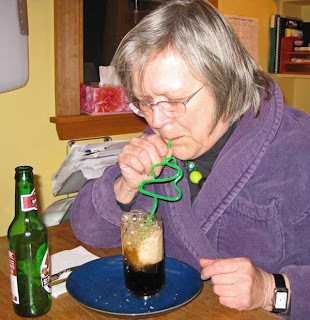 So I got HER a straw too! YES! You CAN blow bubbles in beer, but milk works the best. While I am still on pain meds (and incapable of doing anything really useful)... it seemed like a good time to review my Amazon critiques for the two current books. I do actually read them all and take all the opinions into consideration while planning what to do next. The sequel for Totally Tangled will be out very soon - and as soon as I can see again, I will list it for pre-order, I promise! It is called "Yoga for the Brain". And then... I need to start working on the NEXT idea! At first I was disappointed in the book as it seems to be more about showing her work than about learning. I went to numerous websites to learn before going back to her book to look at putting things together. It is more of an occasional reference book. With that, the author does awesome work. I just received this book and it looks like it's a good one. But, seriously?? $16.99 for a 50 page 8"x8" book??? I think, a few months ago, I would have loved this book, but I've been tangling for several months. So I think I should have bought the sequels. But I didn't know about them until now. So I will go buy them now. For beginners, this book would be wonderful. I'm going to get the next two or three or however many there are. Love tangling. 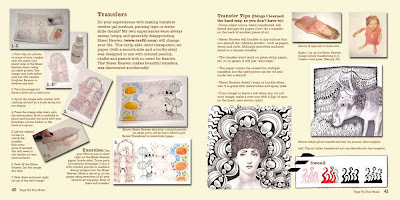 Looks ok but it recommends you buy Zentangle cards to do the artwork on. My local art supplier (which is a big chain) has never heard of them. I thought this book would be a learners guide to the art of 'tangling'. The description seemed to imply that. I expected more instructions and detailed steps Instead this book is more of a compilation of work which is admittedly very beautiful. How to get there is still a mystery to me. The book is not very logically laid out so I would not recommend it for total beginners at all who are looking for a step by step approach. For example the author spends time talking about tools needed and then just jumps into showing you images of tangles with no guidance on how to start at all. I found that frustrating and I struggled to make head or tail of what was going on. However if you want to add to your collection of ideas or get inspiration, this book might be good. But you need to know the basics first. I'm rating this as a 2 star from my point of view, as a total novice. I cannot say how helpful this book would be to a more experienced person as the patterns are truly gorgeous and inspiring. In fact I am considering keeping this book just for the prettiness factor of the designs and getting a beginners guide to learn the basics. But I do think the product description needs to be more explicit and less misleading. There are fewer reviews for AlphaTangle because it is more limited distribution. It's a small book in size, but is packed with tangles. I'm a novice and find it advanced for me, but one day! The ideas in this book are good, even interesting to browse. I just think that this book was overpriced considering its size: it's a size of a large matchbox! 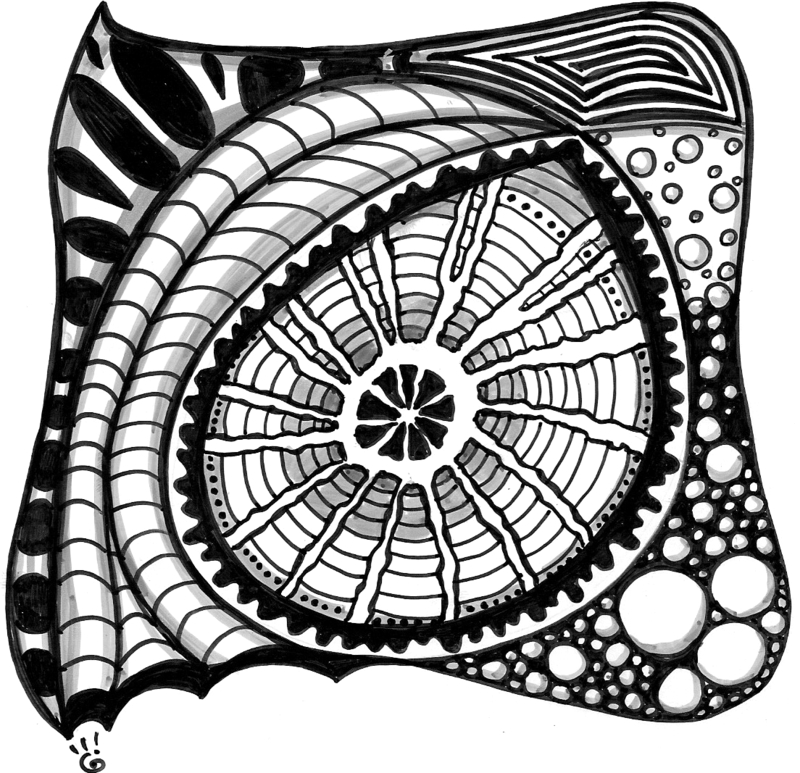 I still plan to use these zentangle alphabet ideas in my own drawings and writings. They look interesting. Every letter is drawn on its own page. 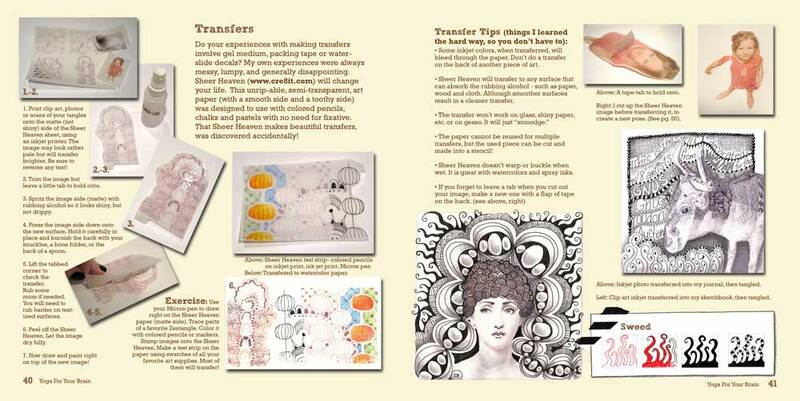 It is tiny enough to take with you anywhere you want if you need a doodling help while travelling or elsewhere. In self-defense, there isn't much I can do to defend against the people who gave me low ratings because of price. AlphaTangle is self-published which means I pay out of my own pocket to have it printed. So it is kind of like a nicely printed 'zine. 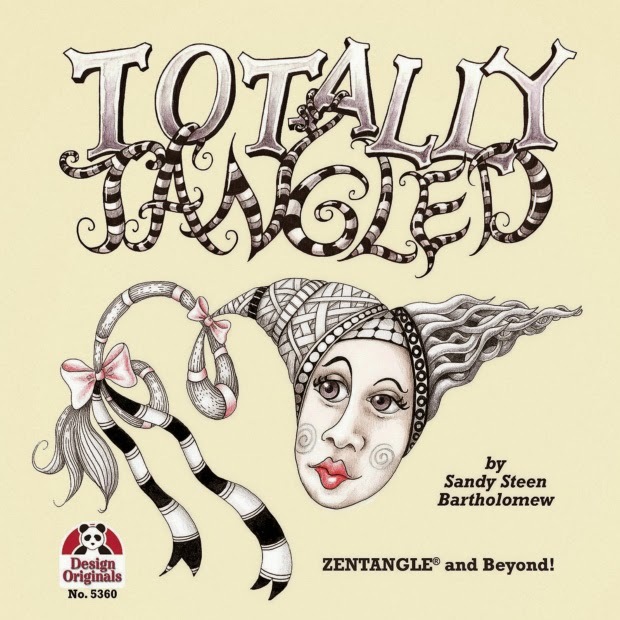 Totally Tangled is full-color printing and that is expensive... but consider, even if TT were available as an e-book (wouldn't that be COOL!!?) it would still sell for about the same price. If you have purchased online versions of other books - even "text only" (no artsy pictures) the books cost almost as much as the hardback printed versions. So, if anybody has any insights into these above critiques that might be useful for future books - I would really love to hear them. And if anyone has been thinking about leaving bad reviews for other books they have read, please consider returning the book, or contacting the author directly if you have useful advice. And for everybody who left me sunny, happy reviews, keep on keeping on! And don't you happy people forget to tell me what you would like to see for future works too!! The good news is that the surgery is over and it seems to have been successful. The bad news is that I have some nerve damage and paralysis in my face and right eye. The doctor said I need to be extremely patient. (Me?!) It could take a few weeks for things to get better or up to four months for the double vision to clear, too. Double vision? I have no control over my right eye muscles, so I am not really aware of double vision yet. I have no sense of depth of field though. It's like reaching for a hologram when I try to grab a glass of water or a doorframe. And I can feel parts of my face, but it's like they are floating in numbness. It is truly bizarre. 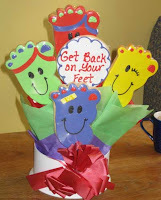 My left eye does not want to be open for long either so I will try to make this post quick! I want to thank everyone for their notes and emails - it means a lot to me! When I can see again, I will reply to everyone, but I felt you deserved a quick update. In case you have no idea what's going on... I had to have surgery to have a wedge put under my eyeball to prevent it from sinking further due to damage from radiation I had when I was a kid. In order to place the wedge, a small bone seems to have been cracked and some damage to the orbital floor so that's where the nerve damage happened. In other words, I can only feel half my nose and lips and various other sections of my face! And all the drugs and gooey stuff... yuck. I just want to sleep. I've got your book at last!! And I can tell you I LOVE IT!!! You are such a great artist!! I`m learning to tangle by my own, with your book and from the net too. I`m a Graphic Designer and I `d like to bring this wonderful experience to my country (Argentina), but I can´t travel to yours. Do you know any way I could do it? My love and best wishes to you for this 2011!! P.S. I`m adding here one of my tangles. I hope you like it! I`ve just learned that you`ve had eye surgery today. And I had sent you five hours before, a zentangle of mine called "the Eye of Time". I am quite surprised!!! And of course, I will try to buy your next book from Etsy or so.